 Cove Base Units offer a permanent touch of scuff-proof glamour, and are ideal for high traffic areas that have sanitary requirements.  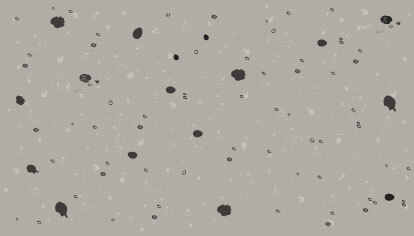 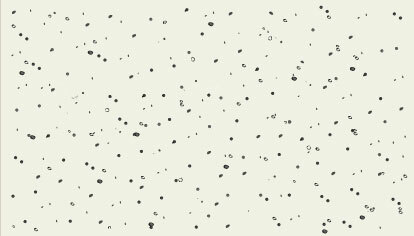 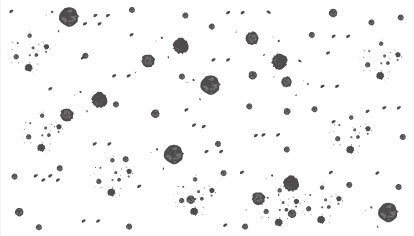 Available in a pleasing array of beautiful colors, Elgin Butler makes it easy to enhance carpet, terrazzo, marble, linoleum or concrete floors. 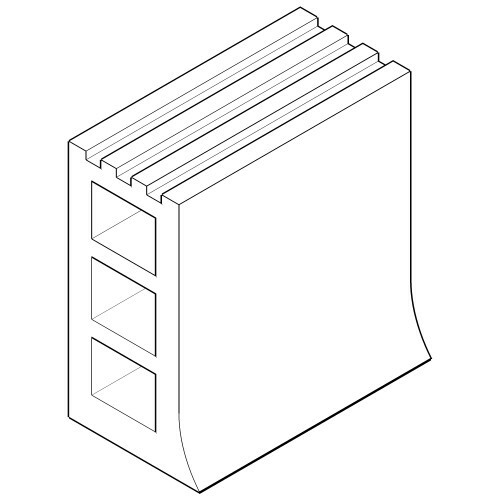 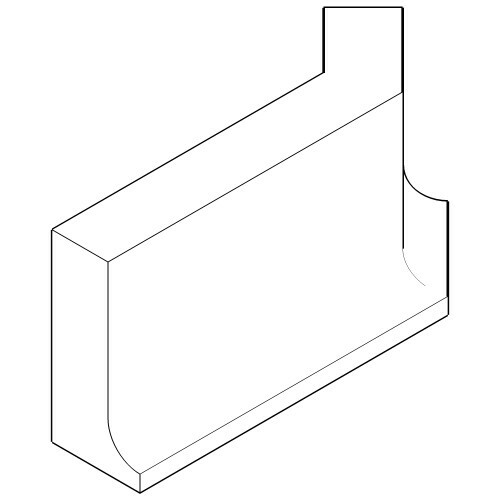 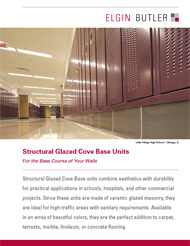 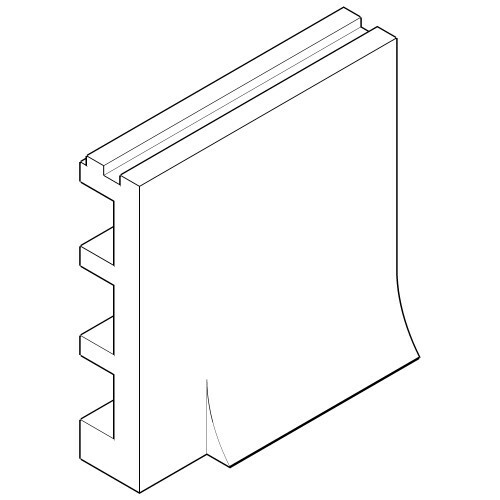 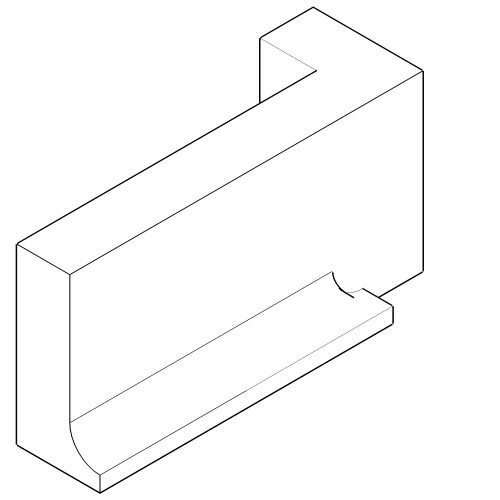 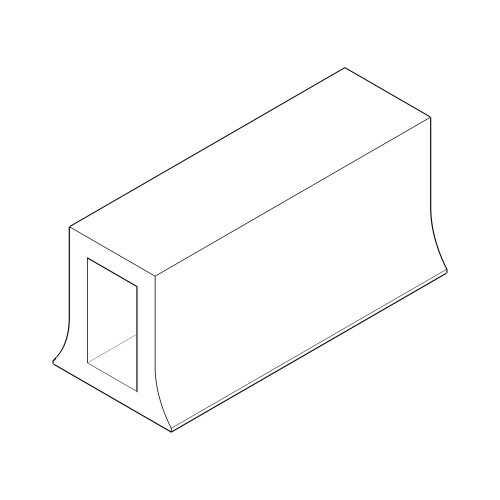 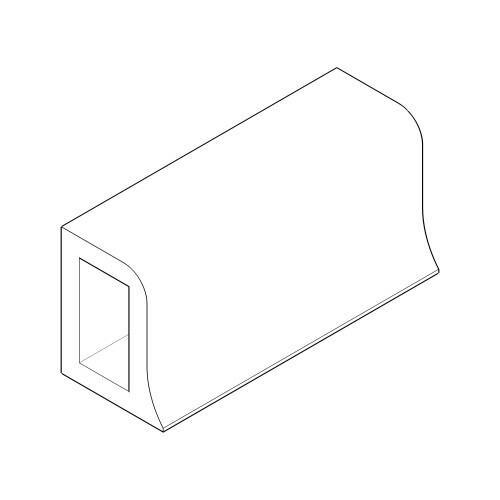 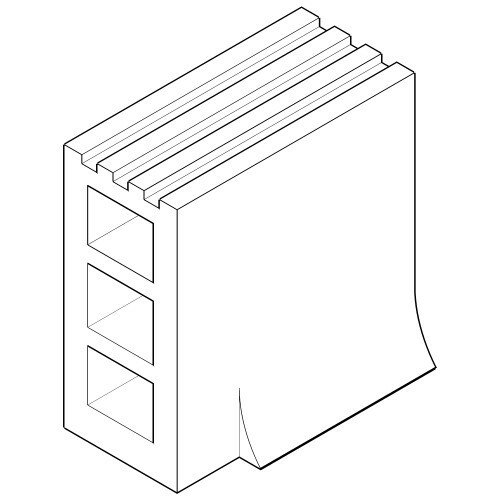 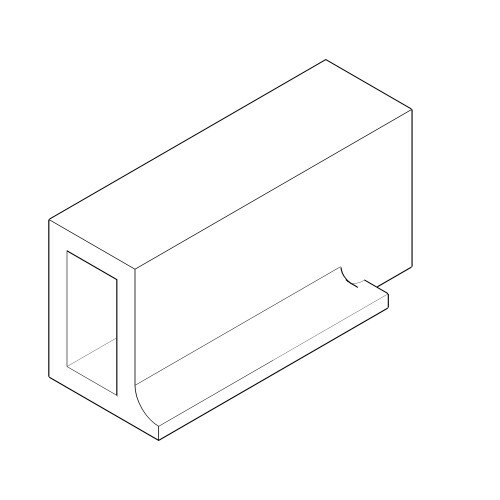 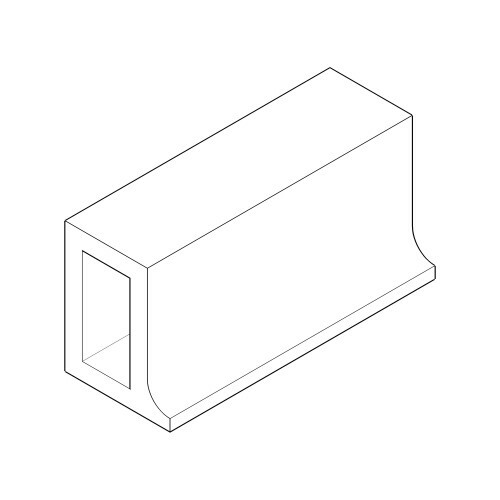 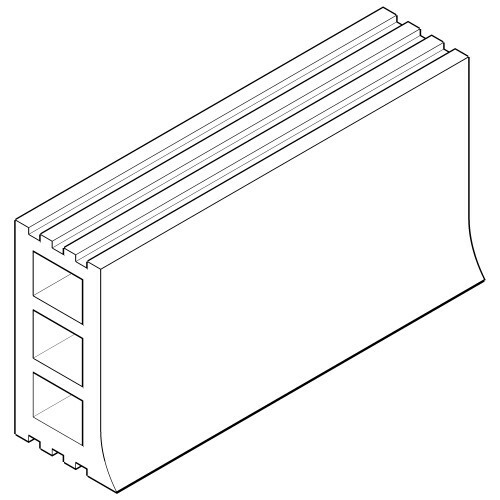 Cove Base units can be manufactured as recessed, non-recessed or straight base types. 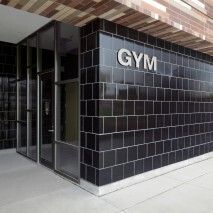 No matter the selection, all Cove Base Units share the same prestigious qualities of Structural Glazed Tile. 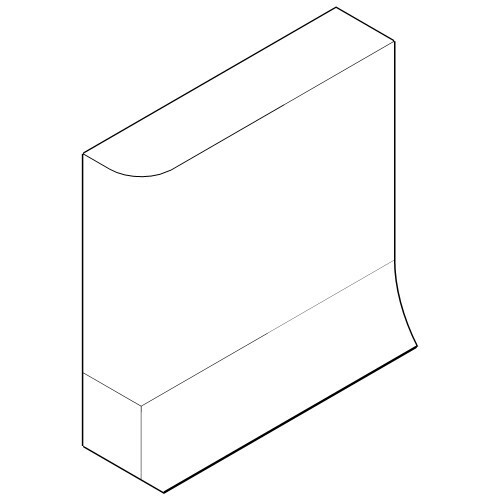 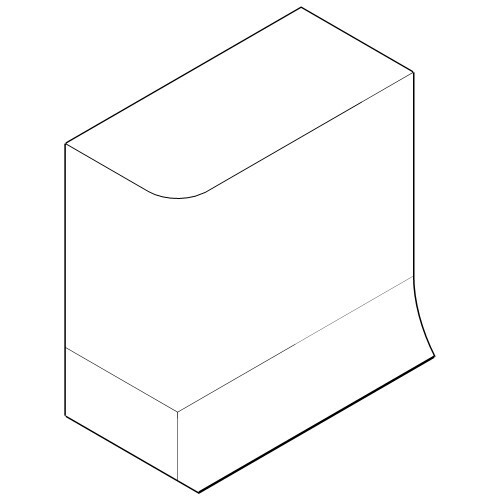 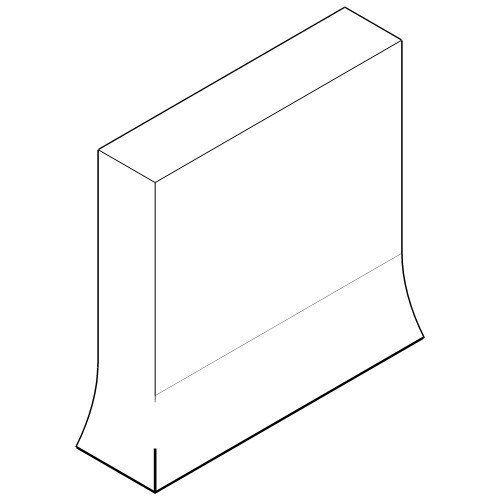 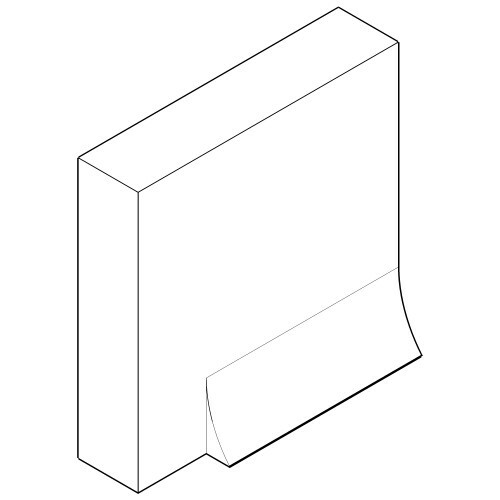 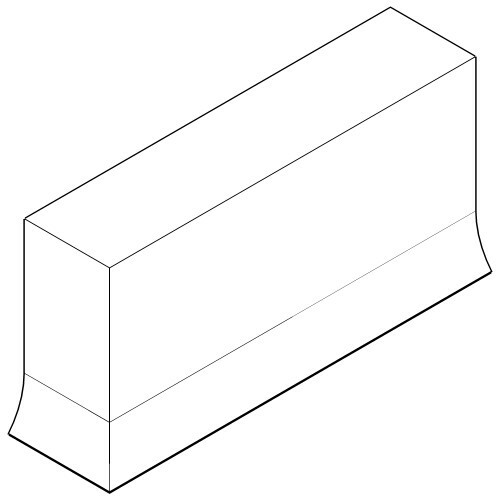 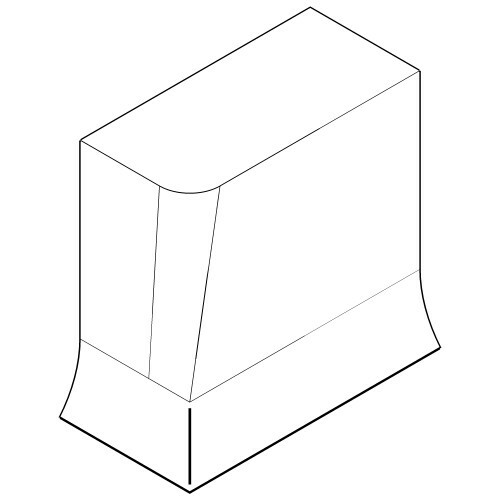 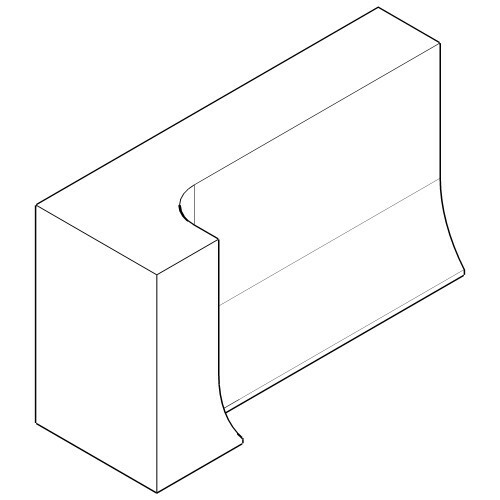 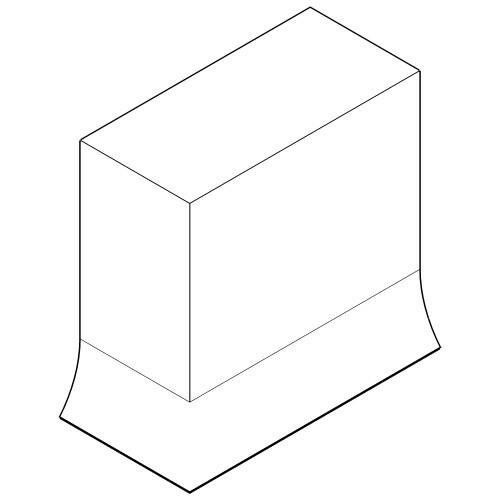 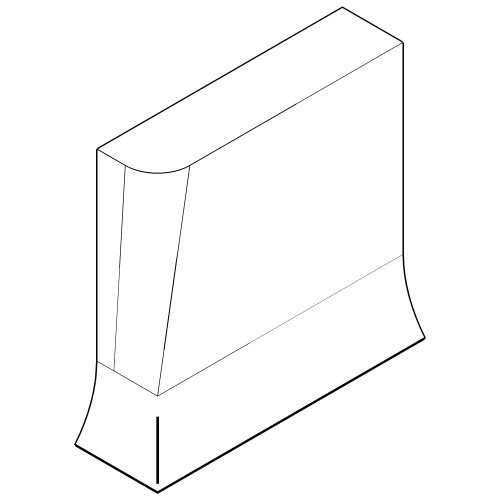 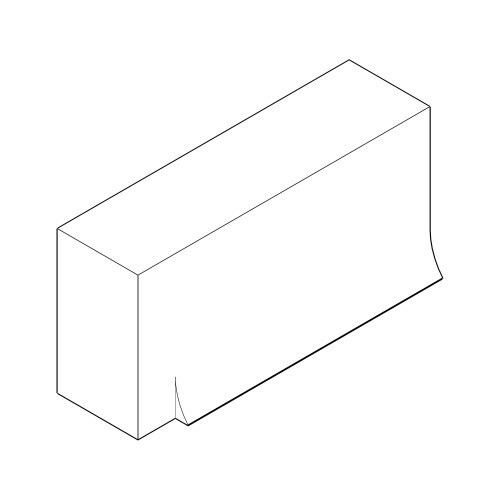 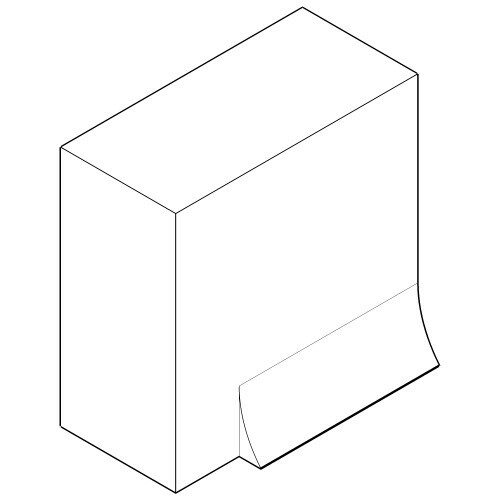 1 3/4" x 5 13/16" x 9 5/8" 45 degree recessed cove base soap with 1/2"
3 5/8" x 3 5/8" x 11 5/8" on face non-recessed cove base stretcher - 4"
1 3/4" x 3 5/8" x 11 5/8" one face non-recessed cove base stretcher - 2"
1 3/4" x 5 1/2" x 11 5/8" non-recessed cove base bullnose cap - 2"
3 5/8" x 5 1/2" x 11 5/8" non-recessed cove base bullnose cap - 4"
Structural Glazed Tile shall be ceramic glazed fire clay units as manufactured by Elgin Butler Company and shall conform to ASTM C-126, Grade S, Type I & II, selected from the manufacturer’s standard colors. 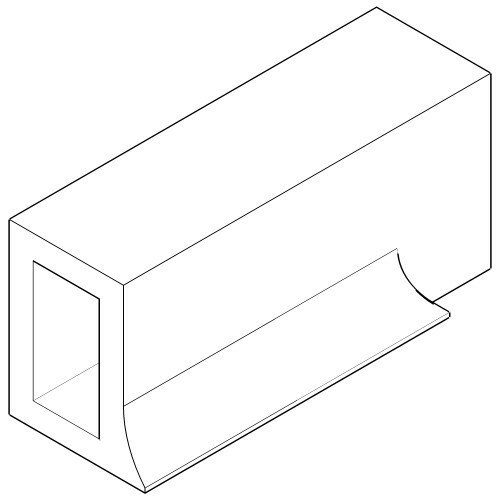 Sized for 3/8” mortar joints (except 6T sized for 5/16” mortar joints). 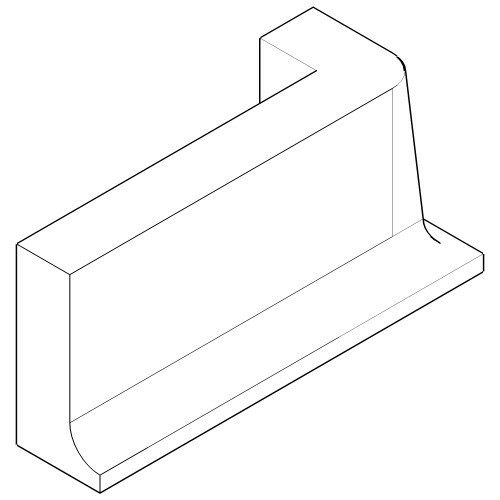 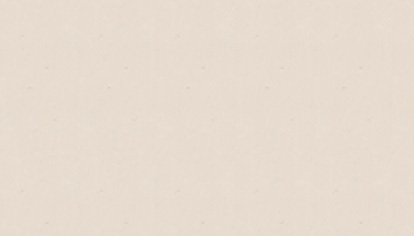 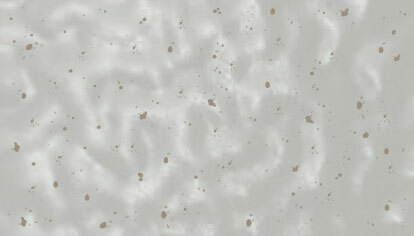 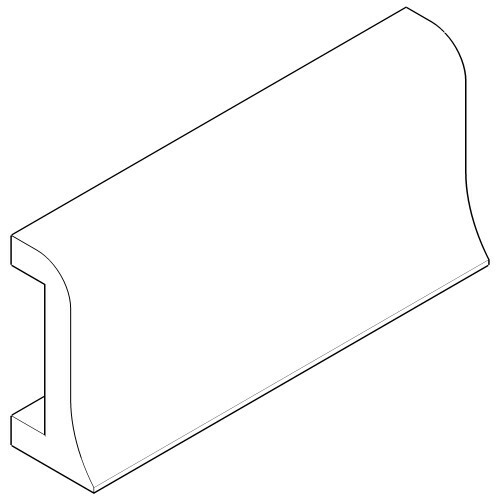 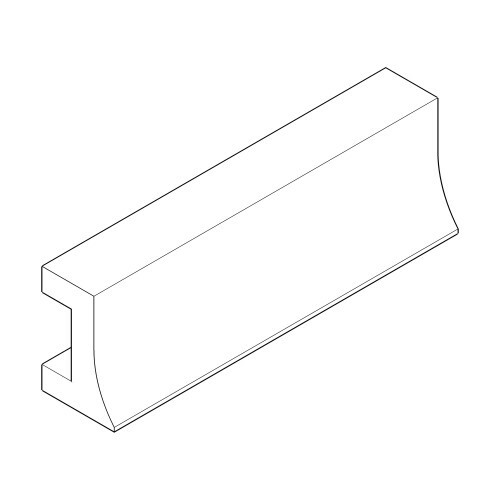 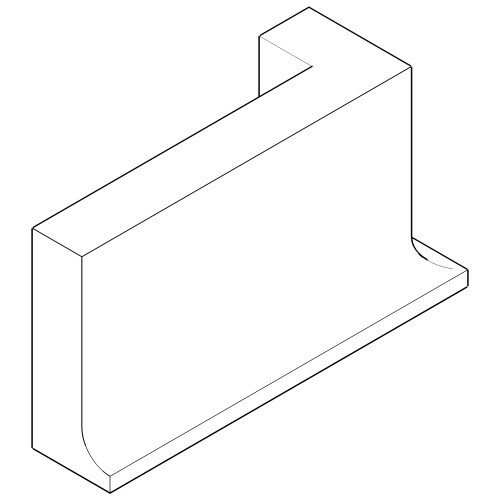 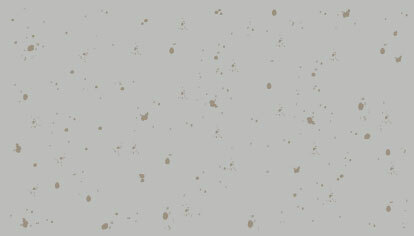 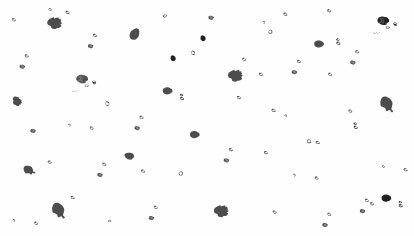 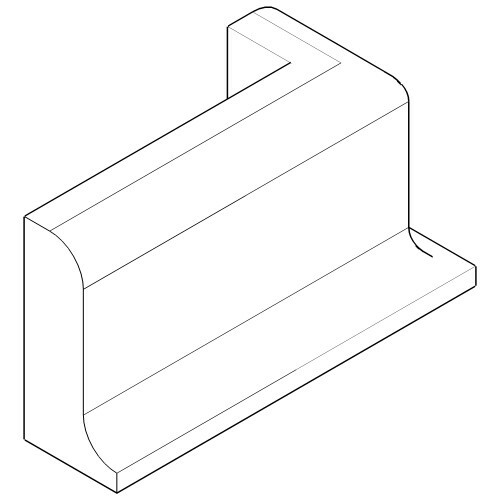 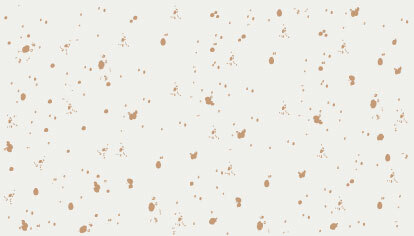 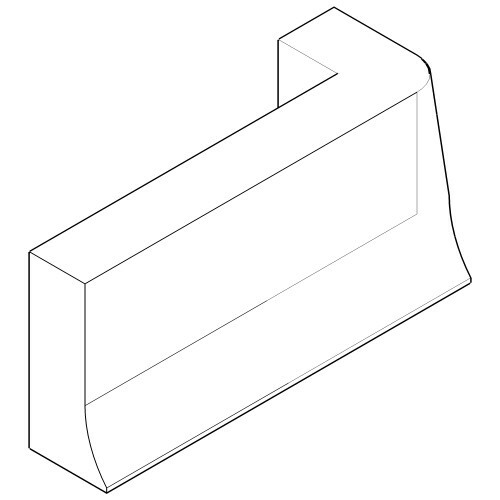 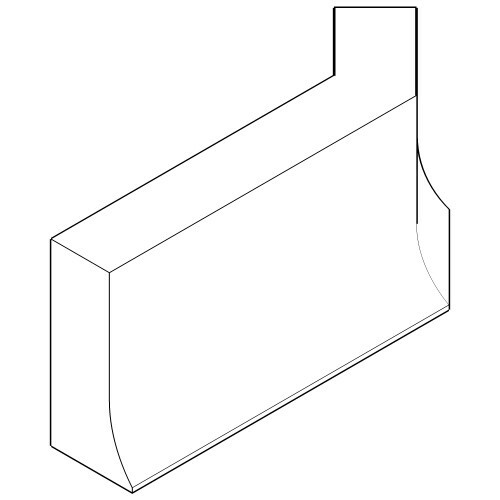 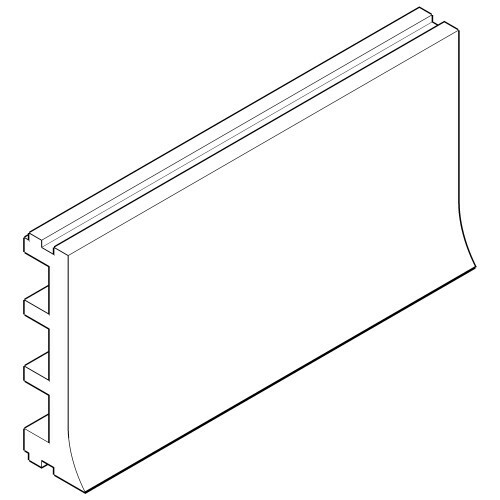 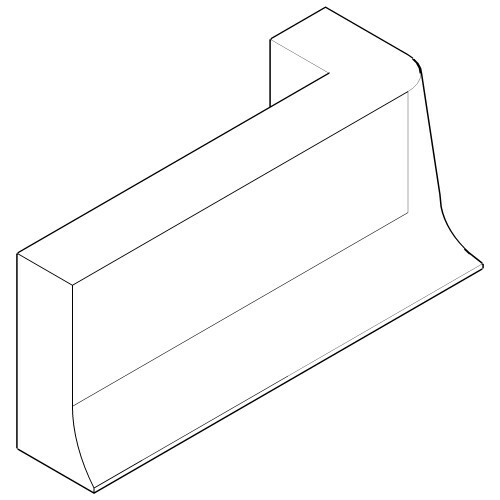 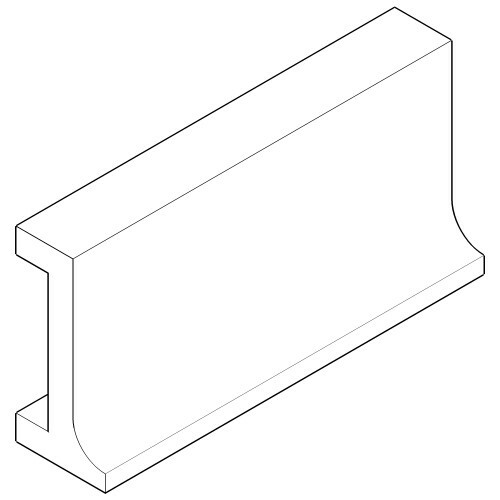 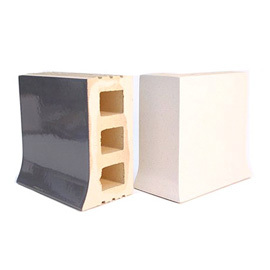 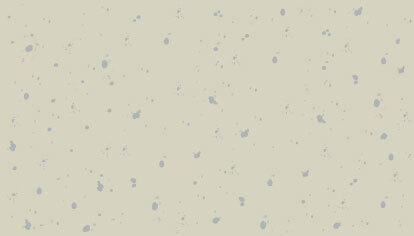 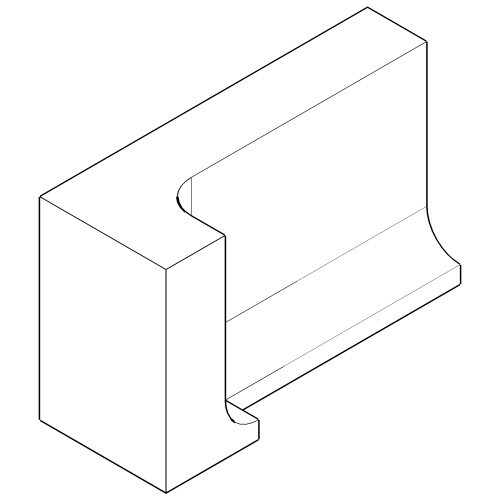 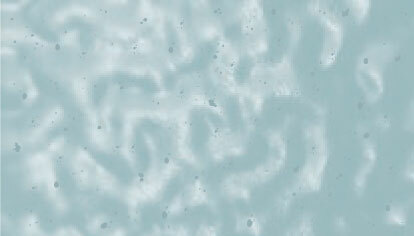 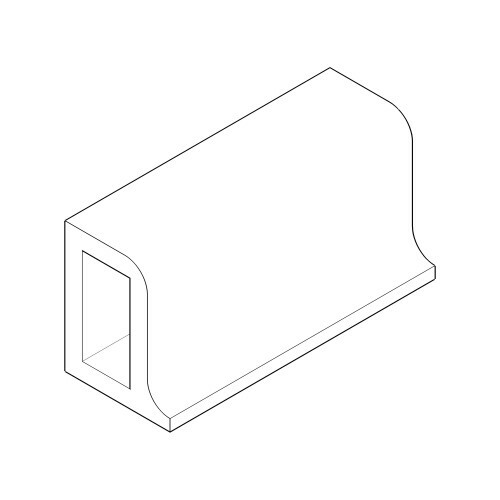 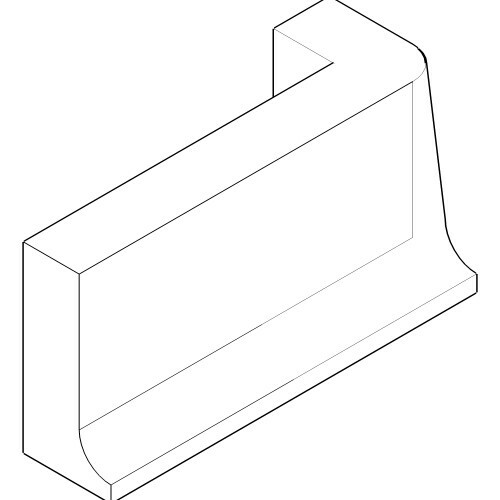 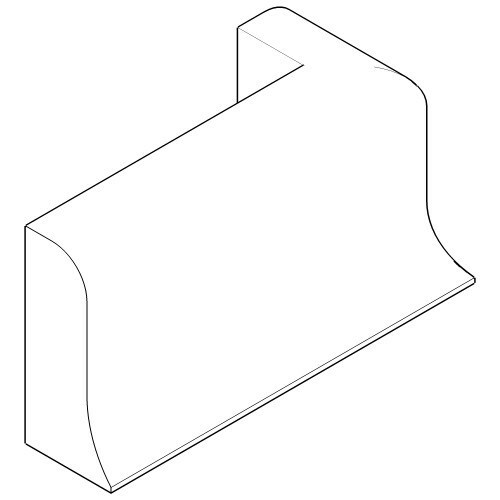 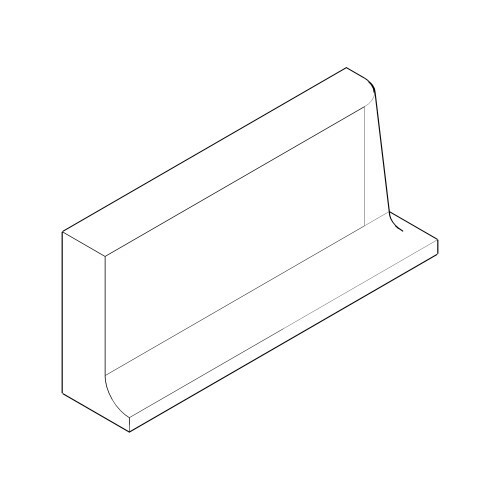 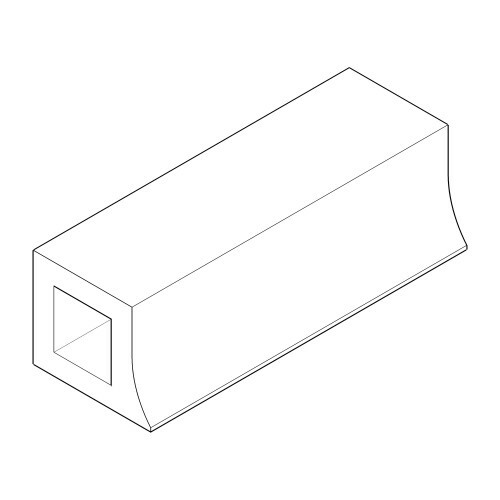 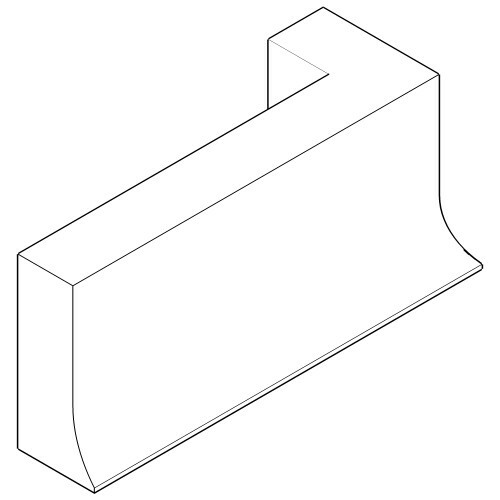 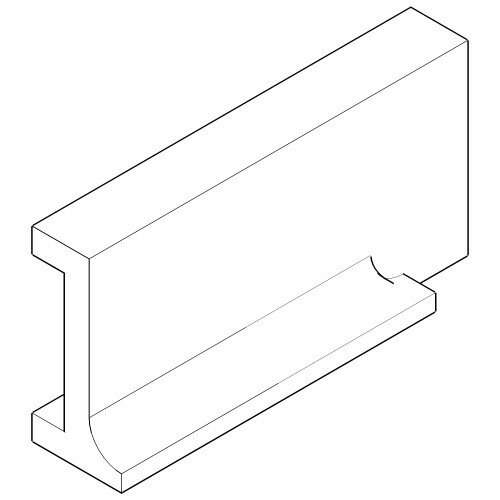 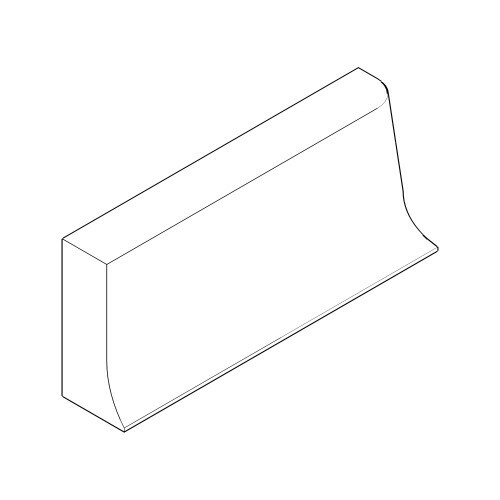 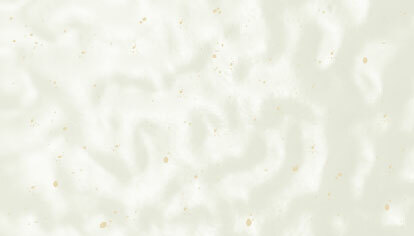 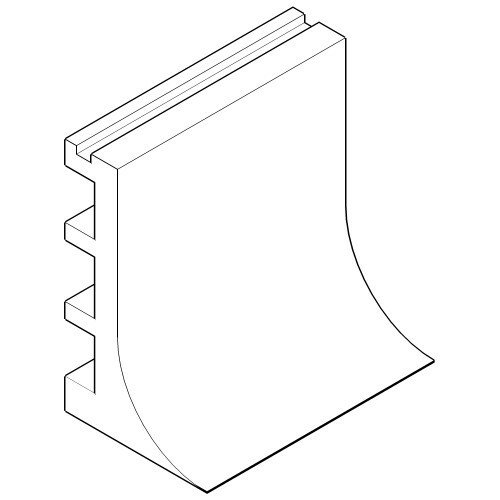 Recessed Cove Base: Typically used with terrazzo flooring or quarry tile. 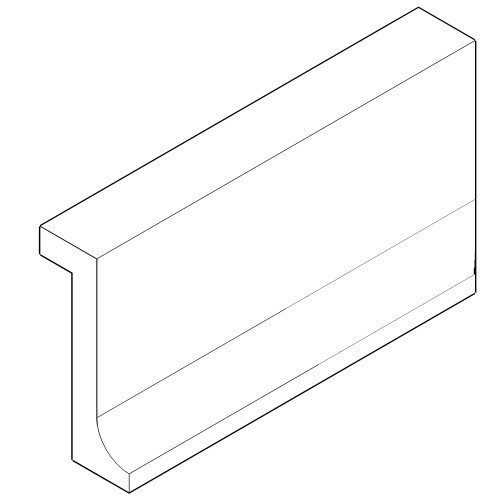 It has a 1/2” lip at the bottom of each unit that allows for the finished floor to be placed after the walls are installed. 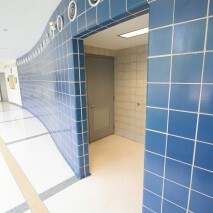 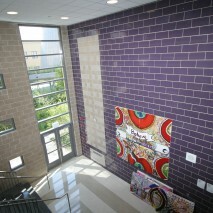 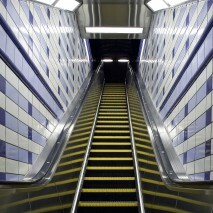 The flooring material then fills up to the 1/2” lip area leaving a sanitary transition between the flooring and walls. 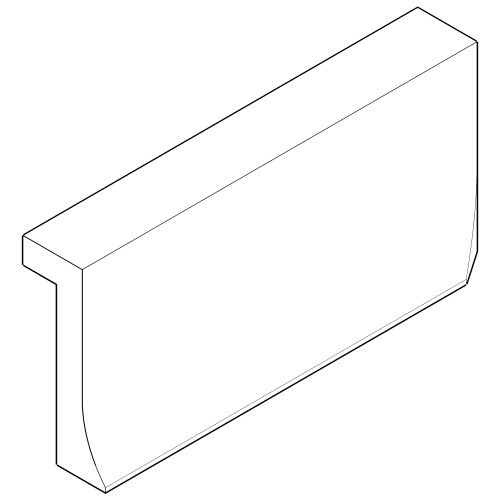 Non-Recessed Cove Base: Typically used with a concrete slab and a thin type of finished flooring material, such as vinyl, epoxy, or a painted surface. 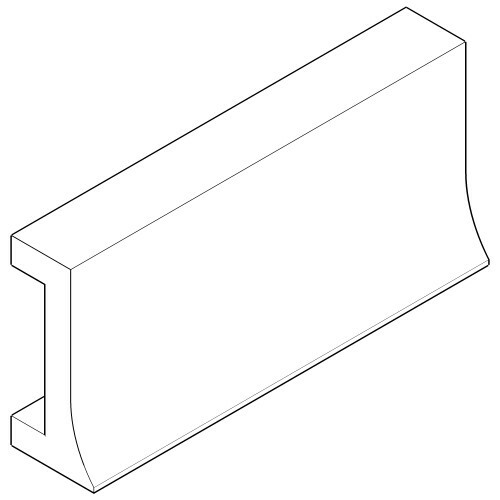 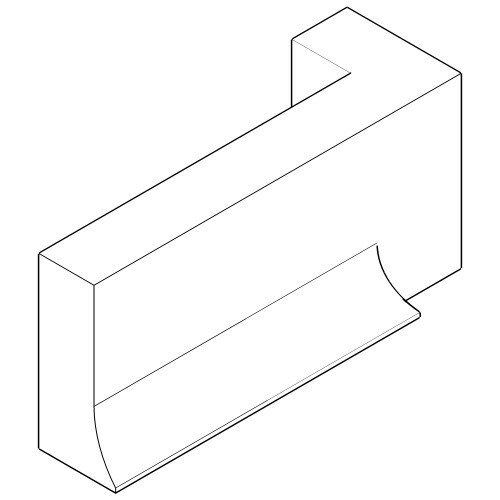 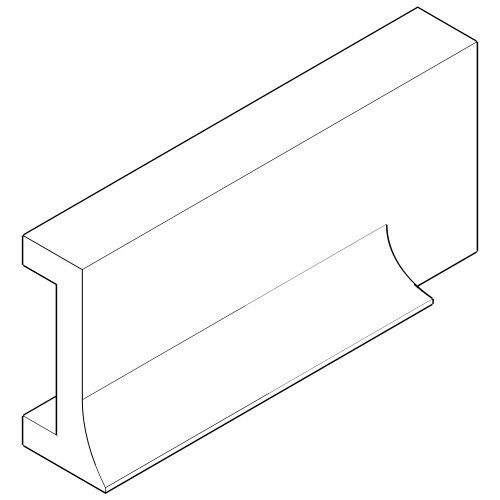 Straight Base: Typically used when a cove base is not required. 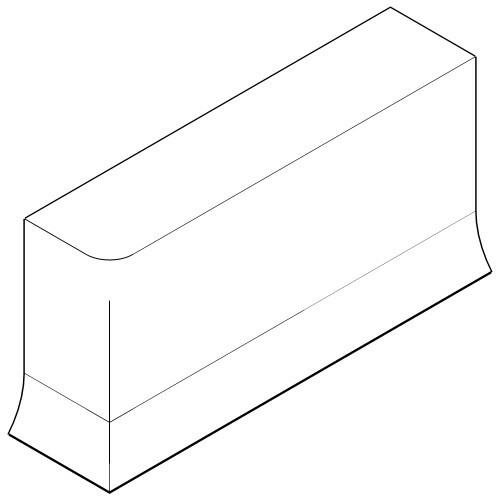 Available in thicknesses of 2”, 4”, 6” or 8”.